Today I will be showing you how to install the BK Links Build on Kodi 17.6 Krypton. 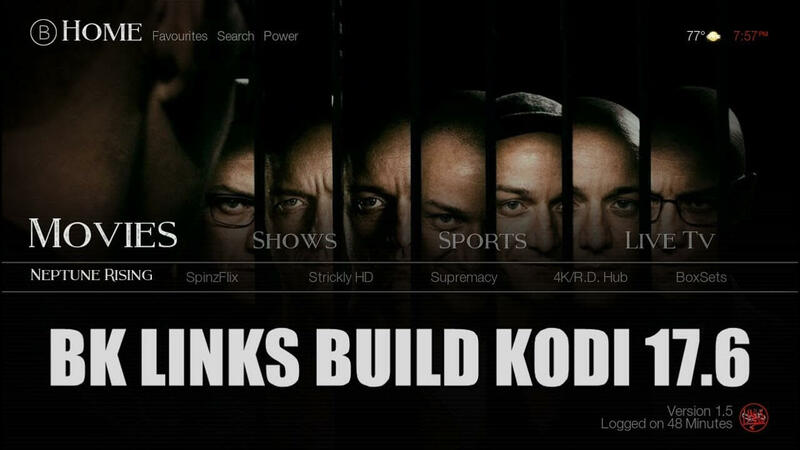 The BK Links build is a new build and is one of the top Kodi builds available to download right now. This is because the build is packed full with all of the best Kodi plugins and addons. The skin it uses is high quality and clear too. The build includes all of the most popular and best Kodi plugins that are working right now so you will be able to watch and stream anything you want. This build is easy to install and can be done by anyone, I will be teaching you how to do this below. The build also works great on devices such as the Amazon Fire TV Stick and other Android devices/Android boxes as the build is fast and optimised for all devices (no buffering or lag). Wait for the download to automatically download, extract and install. If you are on a non-android device your Kodi 17.6 Krypton will automatically close, if you are on an android device like an Amazon Firestick you will have to unplug your device’s power and then turn it back on again. Re-open Kodi, your new build will load automatically. Important: Wait around 5 minutes for the build to fully load and update. Trying to use the build straightaway will cause it to be laggy/buffer or crash while it tries to update. You now have one of the best Kodi 17 Krypton build installed called BK Links.